When a safe won’t open, it could be for any number of reasons. But the goal is always the same. You need to know what to do to get back inside your locked safe. 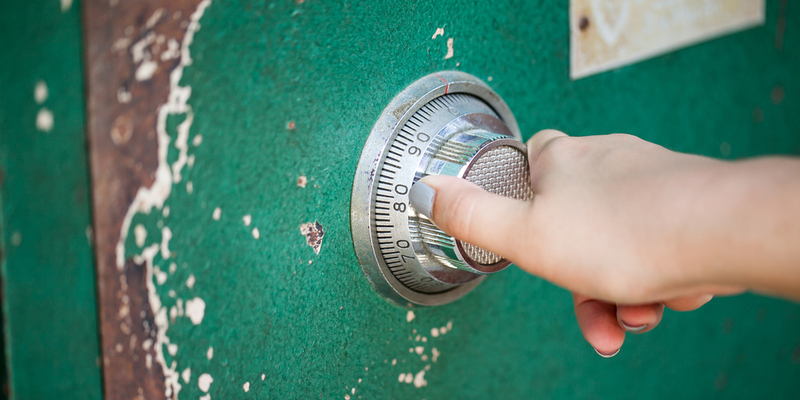 There are many things that people don’t know about safes, but the what you can do when your safe won’t open always remains the same. There is a bit of information that you will need to gather so that you are better prepared to regain access to your locked safe. And at any point, you can choose to call a locksmith to assist you. But here is what you need to do when you are locked out of your safe. Knowing what type of safe you have is incredibly important to finding out what your next step is. In cases where you are looking to open your locked safe yourself, you can’t find the relevant information when all you know is, “my safe won’t open”. If you know the brand name, even this can help you when you’re locked out of your safe. The brand name of the safe is often quite easy to find. Most likely there will be a company logo on the front door of the safe. However, sometimes the logo will not include the name of the manufacturer, instead, it may just have some form of decal or illustration. But most will have large painted letters spelling out the company’s name. If your safe won’t open, and there is no clear brand name, the next step is to look for any type of purchasing information. If that cannot be found, you can take a look at the type of construction and size of the safe. There is a chance that a safe won’t open is not a safe at all, rather it is a lockbox. Lockboxes and safes are two different devices, but either can be accessed by a professional. This leads me to the final bit of advice. If you do not know what type of safe you are dealing with, call a safe locksmith. Just tell them that, “my safe won’t open”, and your job is as good as done. They will diagnose the issue and make sure that you are not locked out of your safe a moment longer than necessary. Why Are You Locked Out? Sure, your safe won’t open, but that is the symptom, not the diagnoses. In order to get back into your locked safe, the precise nature of the safe lockout has to be uncovered. A professional will, of course, be able to tell you why your safe won’t open. However, if you are looking to find out for yourself, you may need to troubleshoot the issue. The reason may be quite straightforward. If the safe uses a key, and you broke the key off in the lock, all you need to do is remove the broken key. After that, you will most likely need to have a new key made in order to see if the safe won’t open still. Or perhaps your electronic lock ran out of batteries and you cannot use the code to open it. Similarly, if you know that you have forgotten the combination or code to the safe, then you know your safe won’t open. In cases like this, you can check the safe literature to see if there is a reset code that you can perform without opening the safe. The chances of this are slim, and if this method entry works, you should look into getting a more secure safe. In the likely chance that your safe won’t open by these means, there will be more work to be done. Other issues such as detached bolt work, or jammed internals, can be assessed when you try to move the safe handle to unlock the device. You know the safe won’t open, but if the handle spins like it should, then there is an issue with the bolt work of the door. The bolts may also be jammed if the handle will just not move far enough, but does still move. If you have made the mistake of purchasing a substandard safe from any of the companies that security experts don’t recommend, or invested in a product that is fire resistant but not burglary resistant, you may be able to bounce your safe. If your cheaply built safe won’t open by the proper means, it may still open this way. Look at the different types of safes, to get a better idea of what type of protection you have. This method of entry is the most basic form of safe entry, but it can only be used on safes with functioning bolt work. If your safe won’t open, due to an issue with you forgetting or not having access to the combination, a broken key, or a battery that has died in your digital lock, then it can be assumed that your bolt construction is intact. 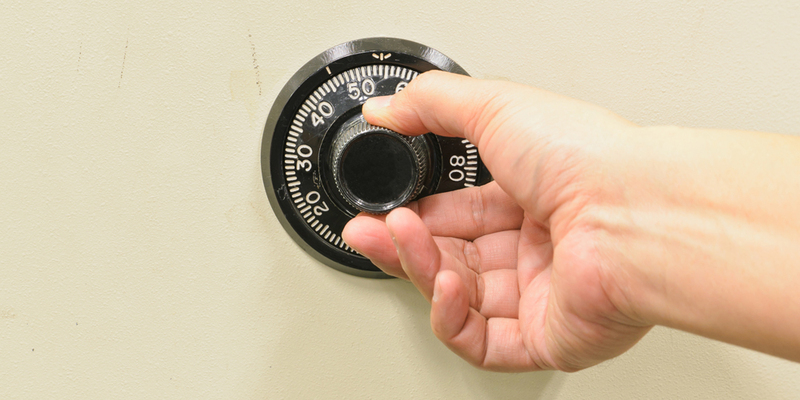 Overrides are installed very frequently in smaller safes with electronic keypads. If your safe is the type of product that you would see used as a hotel safe, then there is a good chance that there is an override procedure. The reason for this is that these safes are intended to have their combinations reset. As a result, many motels and hotels have to be able to get inside when a safe won’t open because a guest forgot to leave the door ajar. Often there is a factory code that comes standard to reset these types of safes without the need to open them. The most common combination is repetitive zeros, the number of which varies, but is often the same number as the safe’s standard combination length. With nothing more than the manufacture, it is often easy to find this information. If the safe won’t open with the information you get, be sure that you have the right model number. If you do, then there is a chance that the override code has been changed on your device. Other than code based pre-installed overrides, there may also be openings on the bottom of the safe if it was not bolted down using every pre-drilled hole. With most electronic safes, there will be a switch on the inside of the door that when flipped, allows the combination to be reset. If you can flip this switch, you can simply reset the combination. Of course, this method can be a little difficult without locksmith tools, such as a borescope. If a safe won’t open due to a dead battery, this will not work. Safe manipulation is the type of safe cracking that you see in movies when a safe won’t open. Where a suave gentleman in a black turtleneck will hold his ear to a safe and spin the dial, opening the lock with nothing but his bare hands and a bit of finesse. Unlike in movies, it is less about having a stethoscope, and more about knowledge, practice, and natural talent. This is not a way that you can get back into your own safe unless you are highly trained. And chances are if you have read this far, you are not. But don’t be discouraged. 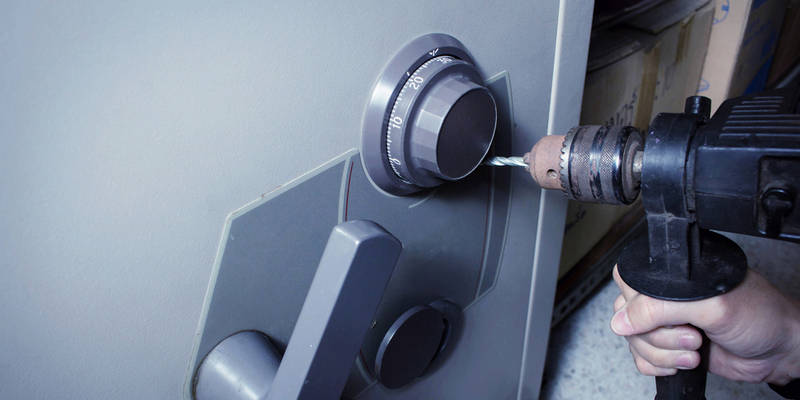 A professional locksmith can still open your safe this way (as long as there is a combination dial). Manual combination locks are the type of locking mechanism that can be manipulated without harming the safe. This will be necessary if you have purchased a safe or vault from any of the best safe companies. But there are forms of manipulation for a when a safe won’t open and simple touch-based manipulation is not enough. These will harm the safe, but not in a way that demands replacing the device. In cases that demand more serious techniques, a hole will have to be drilled in the safe. Tools and probes will then be inserted to manipulate the bolt work or locking mechanism of the safe door. Of course, a safe accessed in the following way (or by similar methods) will no longer be as secure as it was. But most people will still not be able to exploit the safe via this new hole. And the hole will almost be slightly obscured. If anyone was looking to open your safe illegally in this way, they have only been saved the time it would have taken to drill the hole. In cases when you are saying, “My safe won’t open, and I need to get in now!”, you probably do not have time for the more delicate methods. In this case, you may need to subject your safe to violent entry. These ways of getting in when a safe won’t open, compromise the safe far too much to continue using it after the device is opened. Another reason that the safe may need violent entry, is because the safe won’t open because it is far too broken. Sometimes a safe won’t open, and it is not going to open without being taken apart. It is of the utmost importance that you do not attempt to use any form of violent entry yourself. These methods may appear to be rather basic, but the use of these tools can be dangerous if you do not understand the construction of your safe. People that try to break in when their safe won’t open by force can severely injure themselves. Leave this work to the professionals. Now that you know what you can do when you are locked out of your safe, you will never need to say, “My safe won’t open.” You will just be able to go about fixing the issue. Never hesitate in any step of the process to reach out to a locksmith. If ever your safe won’t open, there is always someone ready to help. Feel free to call United Locksmith if you need any assistance with opening your safe. We’ll get the job done!